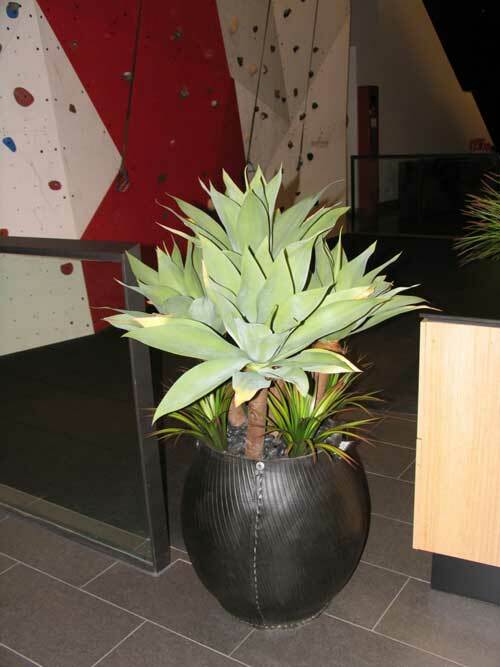 Four head agave tree with yuccas planted in a recycled tyre rubber pot. 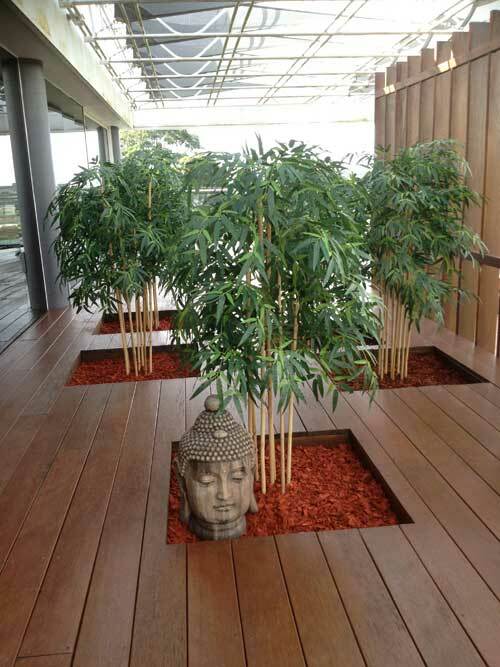 50cm Bamboo trees on natural stems. 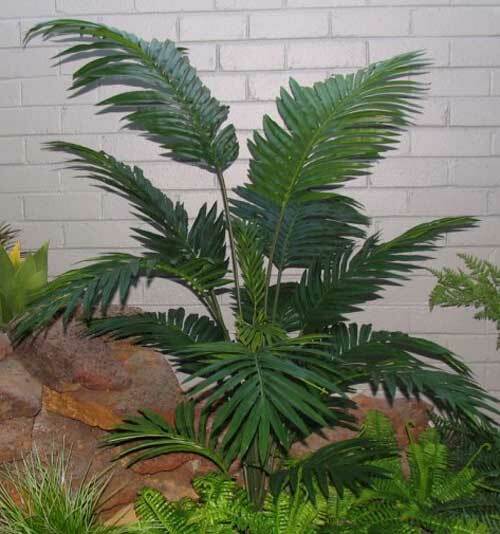 Large Birds Nest Fern, Medium Single & Large Single Blackboys, Cycad and Pothos Hanging Bushes installed at The Stamford Grand Hotel. 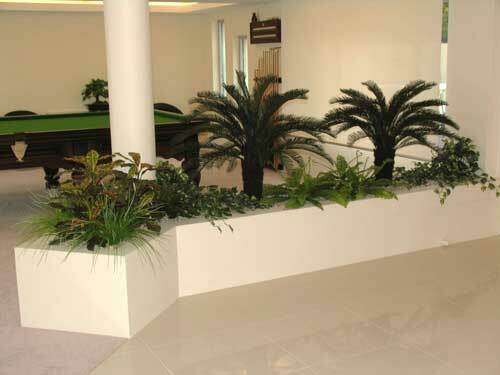 Reception area at Sew Eurodrive using cycad, blackboys, umbrella trees, agaves, mondo grass, boston ferns and yuccas. 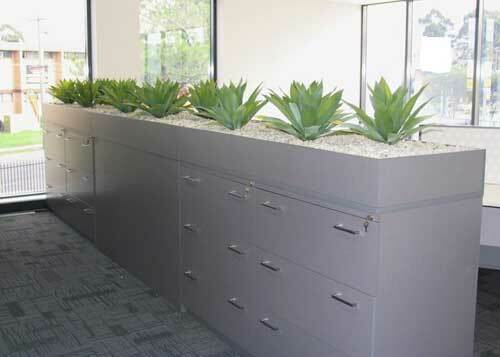 50 cm agaves used in office filing cabinets. 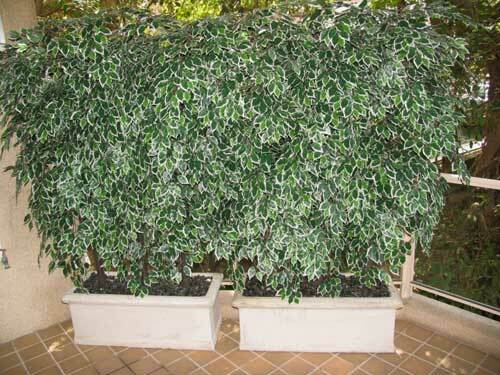 2 metre tall variegated ficus trees made to screen out prying eyes. 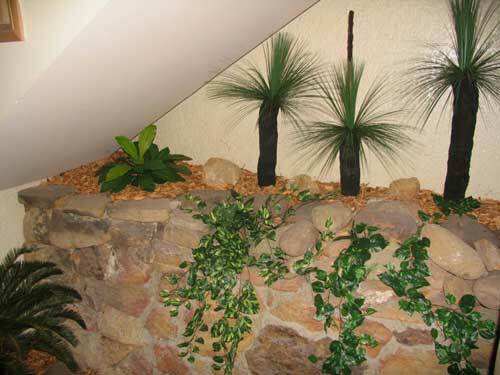 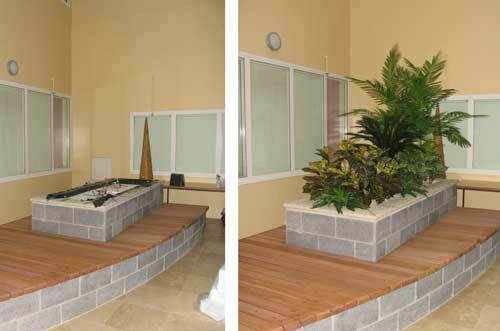 Private bathroom area using palms, ferns and grasses. 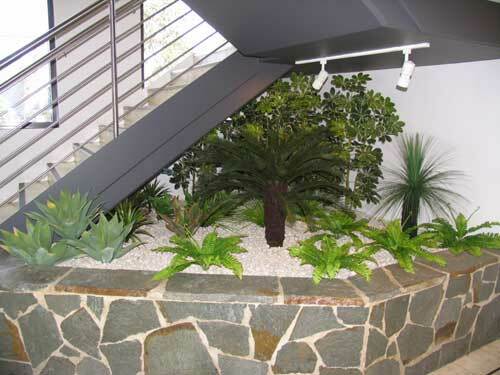 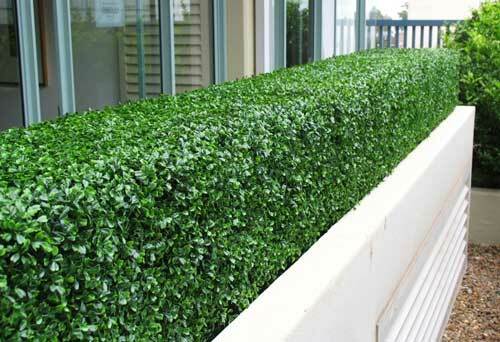 Planter box containing Cycads, Boston Ferns, Mondo Grass, Crotons, Yuccas and Pothos Bush.